A Clear Vision/Plan: A company should put into effect pragmatic deadlines at the start. Allowances should be made considering whether a move in office premises is being planned. If yes, it has to be ensured that the technical amenities are arranged for in the space in question, e.g. broadband connection, phone lines. You need to chalk out the positioning of the wooden cabinets, the steel and aluminium shelves, the wiring and cable connection and the positioning of the furniture. Selection of Building: An educated choice of building is another prerequisite for commercial office interior fitouts. Few things to look out for are wiring systems in a building. To choose a building where electricity ports are in place, along with an efficient wiring system helps in cost reduction. Wall plans should be assessed in prospective buildings. 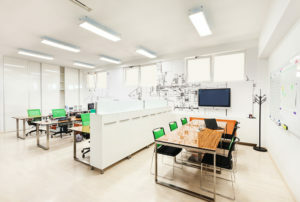 Depending on an open-office plan or partitioned, a company can move on to find suitable buildings corresponding to it. Effective Recycling: Companies should decide on whether they would want a fresh batch of fitouts or re-incorporate the existing ones. Re-using desks or modern furniture, in good shape, is a cost-effective procedure. For the purpose, a detailed list of usable items should be prepared. A Consolidated Project Management: Delayed deliveries, failure to meet deadlines, incompetent labour are few problems that stall fitout operations. These tasks are entrusted with the project manager. Offices can also refer to other organizations which have had similar operations done. To this effect, they can continue with the previous contractor or swap him/her for a new one. Verifying Lease Terms: The team should run thoroughly over legal issues and lease terms. If the building is within a conservation area, does the landlord need to approve of the fitout alterations? In such contexts, prior permission should be extracted. Also, depending on the term of lease and on the building and renovation rules and regulations, the commercial space should be utilized. If you want to renovate something on the exterior part of the commercial space, you need to match the interior fit-out with the exterior one. Commercial office interior fitouts can be managed, especially cost-wise if the following steps are opted for. Once the budget is chalked up, offices can direct their attention towards fruition of the fitout project. A speedy completion of the project requires few thumb rules. You should keep a checklist and also verify that you do not compromise on the quality and buy cheap articles for office at a less price. Site Visits: The company in charge has to make visits to the site to record the specific needs of the offices. It prevents miscommunication. Points of discussion should include time frame, budget and design. Design: Design experts enhance commercial office interior fitouts. The contractor’s design team discusses, arrives at a common consensus with the commercial offices regarding the office layout. The management is updated consequently on proceedings. Relocation: Construction is followed by cleaning up office premises. Thereafter, it is prepared for a move in. Relocation services are offered by fitout companies but at additional costs. One is allowed to tour the site, preceding the official handing over of the keys. 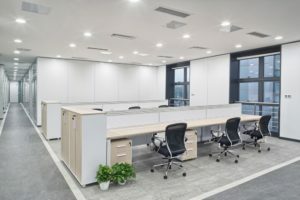 To conclude, commercial office interior fitouts mostly require a distinguished fitout company, suited to meet the offices’ needs respectively.